The Refined Geek » Luna. 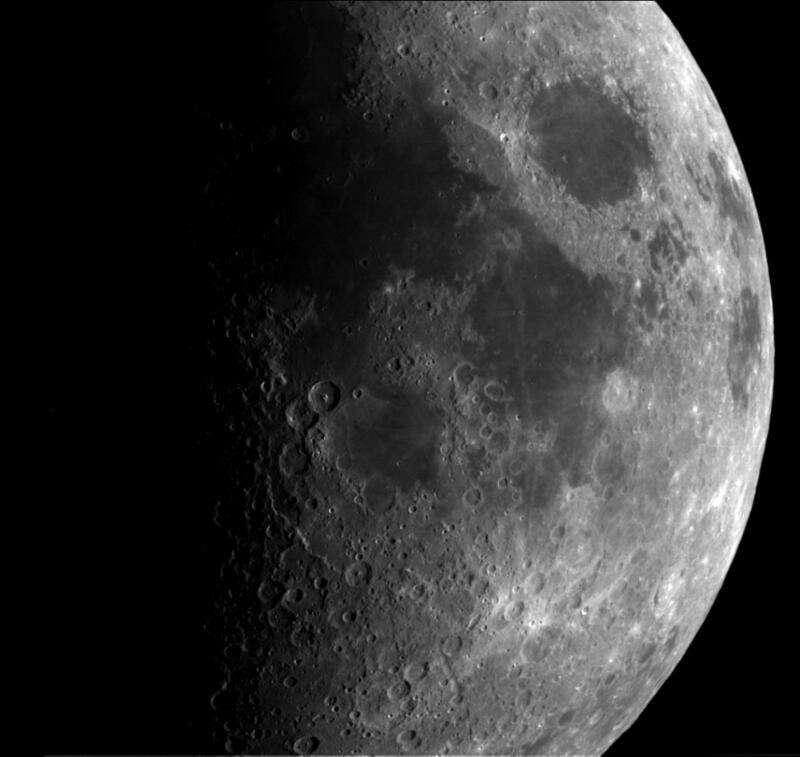 Our crater faced neighbour in the darkness of space is none other than the Moon. The only other celestial body to be visited by us humans it has been something of a curiosity to us for countless milennia and it is only recently that we’ve come to realise a few things about this ball of dust and rock that don’t quite seem to add up. Today I’d like to introduce a couple things that are not-so-common knowledge about our celestial cousin and give you a run down on what they mean for us here back on earth. Firstly it’s massive and not just because it weighs a lot. Current estimates of its mass peg it somewhere around 7.347 7 × 1022 kg or around 1.23% of that of Earth and that’s the kicker right there. If you look at any other planet with another orbiting body the relationship of planet to moon mass is no where near that high. The most comparable planet would be Mars with its moons Phobos and Deimos, which weigh in at a measly 0.0000016% and 0.00000023% of their hosts respectively. It’s a similar story for moons of other celestial bodies, especially when you consider a moon like Lo or Europa which are about the same size as our moon but are orbiting the gas giant Jupiter. Our moon is then somewhat of a enigma and its presence has caused many interesting phenomena on our Earth. This then begs the question: How the heck did something that huge manage to get trapped with us? There’s a lot of theories about its creation. If you were to look at other planets and extrapolate a hypothesis from them your first conclusion would be that we captured another celestial object. Again the mass of the moon says otherwise, as the Earth isn’t large enough to capture something of that size without some other forces acting which we can’t seem to account for. Another possibility is that the Moon and Earth formed at the same time however the composition difference between the Moon and Earth is significant enough to throw this theory into question. Additionally, all the previous theories also fail to account for the amount of spin the Earth/Moon system has, which leaves the current best hypothesis: something hit us. The idea is that another body on a similar orbit around our sun eventually came too close and of course this lead to a massive collision. This theory still has its problems, but for now it’s the best idea we have. Another fun fact about the Moon is that it’s covered in a fine powder referred to as regolith. Due to the lack of geological activity and zero atmosphere the surface of the Moon is for the most part, stagnant. Any reshaping of the Moon’s surface occurs in the form of asteroid impacts. These have the tendency to smash whatever they hit into a lot of small pieces and over the course of the several billion years of it’s existence the Moon has taken quite a few hits. This has lead to the entire surface being covered in around 4 meters of fine dust that is best described as crushed glass. Regolith is one of the main issues facing an established lunar base as it’s quite coarse and loves to stick to everything. Plus it’s not the best thing in the world to get in your lungs either. The Moon is a wonder for anyone on Earth and I love the fact that so much of it is still a complete mystery to us. I can’t wait for the day when we make a permanent presence on the Moon as the things we could accomplish there would be amazing. For now I’ll just keep gazing upwards for a look at the Moon whenever it floats by. P.S. If you want to know more may I suggest here and here.